As Elizabeth Nolan Brown noted yesterday morning, 2016 Libertarian vice presidential nominee and heretofore presumed 2020 L.P. presidential contender Bill Weld changed his Massachusetts voter registration to Republican on January 17, six days before the Boston media began reporting that Weldworld was considering a potential GOP primary challenge to President Donald Trump. The party-swap, first reported by Commonwealth magazine Monday night then matched by the Associated Press and the Boston Herald, has served to drum up some national media interest in Weld's February 15 appearance at the New England Council's Politics & Eggs event, considered a must-stop for presidential candidates eyeing the New Hampshire primary. If the former Massachusetts governor indeed announces his candidacy there, he'd likely be the first entrant into the longshot #NeverTrump primary sweepstakes that the president and Republican National Committee have been taking extraordinary steps to cut off at the knees. Weld isn't talking to reporters until then, so stoking this speculation is clearly part of his strategy. But there are some preliminary warning signs that, even though he potentially stands to gain first-mover advantage in a presidential primary, the carefully worded corporate lawyer may have stunted his own prospects—even among his previous supporters—through his ideologically slippery journey to this point. Weld walked away from his governorship in 1997, bored with the job and angling to become Bill Clinton's ambassador to Mexico. In 2006, he decided he wanted to be a governor again—not in Massachusetts, but in New York, where he sought both the Republican and Libertarian endorsements. When Republicans decided they weren't interested in Weld, Weld decided he was no longer interested in the Libertarians. Two years later, he endorsed Barack Obama for president. A Weld run would enliven the 2020 campaign with erudition and quirky wit. That alone might be reason to hope he jumps in. Remember, however, that when it comes to politics, Weld will say and do just about anything to keep from being bored. He's not likely to take a Weld candidacy too seriously. We shouldn't, either. New England Republicans, meanwhile, aren't exactly welcoming Weld back into the fold. 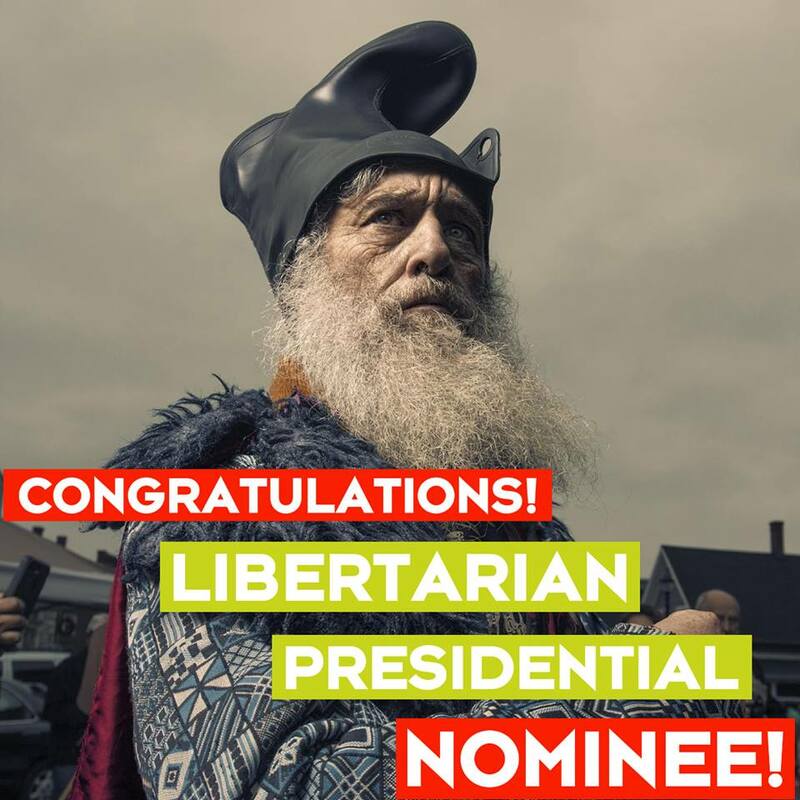 "He ran as a Libertarian vice presidential candidate in 2016. As far as we're concerned he's a Libertarian and he can't flip-flop back and forth for political expediency," New Hampshire GOP Chair Steve Stepanek told Fox News. "We don't consider him a Republican. We don't want him back as a Republican." "It would be wonderful to have a moderate Republican running against Trump to give other voters in a Republican primary someone to vote for," former Massachusetts GOP chair Jennifer Nassour told Commonwealth. "The downside for Weld is he left the party and party voters, whether a Republican or Democrat, don't look too kindly on someone who leaves the party and comes back." Even Weld's own proteges, such as the Trump-averse Massachusetts Lt. Gov. Karyn Polito, won't say anything more encouraging than "Bill Weld and [former Republican governor] Paul Cellucci are individuals that served as role models to both Gov. [Charlie] Baker and to me in our earlier days in public service, and if Bill Weld wants to run for president, that's his choice, and he may very well do that." Potentially narrowing Weld's lane still further is the curious fact that the main organizational drivers thus far behind the #NeverTrump GOP primary have long track records of distancing themselves from libertarians. The Trump-challenging 501(c)4 Defending Democracy Together was founded by neoconservative stalwart Bill Kristol, whose recently shuttered Weekly Standard magazine was the anti-libertarian standard-bearer on the opinion-magazine right. Several of the political operatives on the hunt for a primary challenger are former employees of the late John McCain, an outspoken opponent of what he called "the 'leave us alone' libertarian philosophy." And the Niskanen Center, which has been gathering anti-Trump forces for 2020 strategy sessions, sells itself as "rejecting both Trump-style ethno-nationalist populism and libertarian-inflected 'small government' conservatism." Weld since 2016 has been tacking noticeably more libertarian—on guns ("I think that anyone who says, 'We have to do something about gun ownership, including AR-15s,' is just going to be dead meat, because their position doesn't make any sense," he said Saturday), non-interventionist foreign policy ("I'm there with bells on"), and drug legalization. Is there really room in the #NeverTrump primary for a small-l libertarian, let alone a libertarian-leaner who changes his mind a lot about party affiliation? Looks like we might soon find out.